The cousin of onions and chives, garlic has found its way into many culinary traditions, from the Mediterranean to Europe to Asia. Aside from imparting a pungent, warm quality to food, its cloves have been used for centuries for immune support. 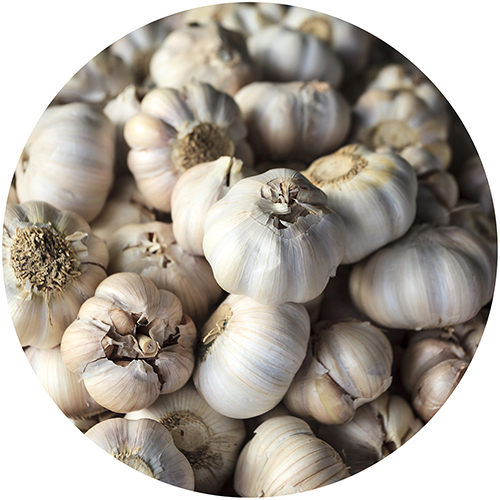 Recent research has identified the sulfurous compound allicin, which is activated when cloves are chopped or crushed, as contributing to many of the immune enhancing effects of garlic that make it such a powerful addition to many digestive detox protocols. Additionally, garlic is noteworthy for its ability to support cardiovascular function by helping the body maintain adequate circulation and healthy cholesterol levels.